Coalition Of "Never Trump" Conservatives Call On GOP To Protect Robert Mueller From Any Actions By Trump - Joe.My.God. In February, with the shock of President Trump’s victory still fresh, a small group of libertarians and conservatives began meeting every two weeks to discuss their next moves. Evan McMullin, the “Never Trump” presidential candidate, was in the room. So was Bill Kristol, co-founder of the Weekly Standard, who had drafted McMullin to run. The meeting grew to include conservative columnists like Mona Charen, Max Boot and John Ziegler, and former U.S. House members such as South Carolina’s Bob Inglis and Florida’s David Jolly. On Wednesday, the Meeting of the Concerned will release its first public statement, asking congressional Republicans to preempt any presidential action against Robert S. Mueller III, the special counsel investigating Russian meddling in the 2016 election. We are a group of citizens united by our deep concern over threats to the integrity of American democracy and the rule of law. 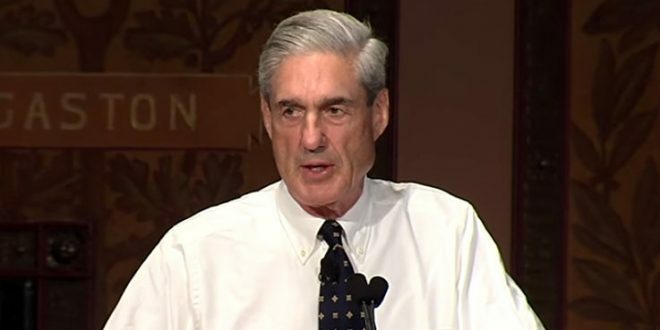 With the indictments announced on Monday, the investigation by special counsel Robert Mueller into Russian interference with the 2016 election is now entering a new and critical phase. At the same time, a growing chorus of Republican and conservative voices has started calling for Mueller’s resignation on trumped-up grounds, a move that may be calculated to help justify dismissal of the special counsel and pardons for his targets. In view of these events, we want to come forward and express our strong support for allowing the Mueller investigation to proceed without interference or obstruction. We would regard dismissal of the special counsel, or pardons issued preemptively to anyone targeted by his investigation, as a grave abuse of power that justifies initiation of impeachment proceedings. We hereby call on House Speaker Ryan and Senate Majority Leader McConnell to make clear, both publicly and privately, that they support the Mueller investigation and regard any interference with that investigation, including dismissal of the special counsel or preemptive pardons of investigation targets, as completely unacceptable. We further urge all Republican members of Congress to issue public statements on these issues as well. It is morally imperative that the Republican Party and the conservative movement stand as bulwarks of the rule of law, not enablers of its erosion and violation. Now is the time for choosing.